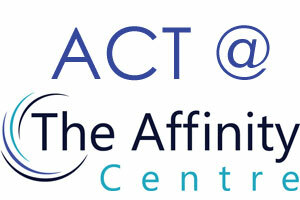 I deliver training in Acceptance and Commitment Therapy (ACT) at two levels at my therapy centre in Cheadle, Cheshire. If you know very little about ACT and want to know more you can come on my Introduction to Acceptance and Commitment Therapy course, which runs several times a year (click here to find out more). Once you have been on that course, or if you already know the basics of ACT, I offer an Intermediate Training in Acceptance and Commitment Therapy, (click here to read about the course and to sign up). I also use ACT with both individuals and couples so it may be that you are working with me therapeutically or just interested in ACT. Wherever your ACT experience lies, here’s a list of some of the stuff that’s out there on ACT that’s really worth reading. The Happiness Trap* by Russ Harris. If you are new to ACT then a great place to start is The Happiness Trap (Based on ACT: A revolutionary mindfulness-based programme for overcoming stress, anxiety and depression). Russ Harris explains Acceptance and Commitment Therapy in an easy to absorb way in a book that you will want to keep reading. It’s one of those books that you find yourself saying “oh yeah, I do that” out loud as you read it. It’s the book I recommend to all my clients and a starter for 10 if you are thinking of coming on my Introduction to ACT course. If you’re coming on my ACT introduction course then here are some great sources of information. This is the website for Acceptance and Commitment Therapy practitioners and a gold mine of all things ACT. It’s only $10 to join and this will give you access to resources, articles, powerpoints, training and the opportunity to connect with ACT practitioners world wide. An absolute must join organisation if you’re even a little bit interested in behavioural therapies. Russ Harris explains the core concepts of ACT in easy to read language and offers a stack of online resources to compliment the book. This text is aimed at practitioners but will ease you in to using ACT with clients in a gentle way. At this stage you may be wanting to work in an ACT consistent way with your clients and transition over to using ACT fluently. This is the second edition of the seminal text on ACT. The place where it all started. You might be surprised that I haven’t recommended this in the section before for basic ACT practitioners but when you open the book you will understand why. This is not the easiest of books to read and you will benefit from a basic understanding of ACT before tackling it. Once you do however, your understanding of ACT will improve considerably. Just take it slow! This book takes the core concepts of Acceptance and Commitment Therapy and presents them in a simple way so you can explain ACT to your clients in about 5 minutes. A very interesting and easy to access book. Whilst the ACT matrix presented here was originally put together by Kevin Polk, Mark Webster and Ben Schoendorff, the matrix I use and teach is the one that has developed from this by Mark Webster so expect to see some differences in what I have taught you on the course. Mark’s website has lots of resources and great blog posts to explain how to use ACT in a functional contextual way. He talks about the ACT matrix and how to use it with clients. Well worth a read. The ACT peer recovery site has more ACT matrix resources and a great video of Mark explaining the matrix. This site will build up over the next few months to provide more videos and articles on using the matrix. This little book is on download only and explains the basics of Functional Contextualism in a simple and easy to understand language. Mark then explains how to use loops to explain how we get trapped in unproductive behaviour. This is essential reading if you are on my intermediate course (and it’s only a couple of quid). This book is a skills training manual for ACT therapists and accompanies the original text to break down ACT into competencies. Once more, it’s not the easiest book to read but if you take your time, do the exercises and watch the DVD that’s included with the book you will learn an enormous amount. I love this book. It gives a really human approach to ACT and some of the content is about how to be a good therapist rather than specifically focusing on ACT. Westrup focuses on key areas where ACT therapists go wrong, get confused or get stuck and gives great advice on how to negotiate the more difficult aspects of the modality. I read this book from cover to cover in a few days and not many books have that honour from me – buy it! So there we go. If you start with these books and websites and read them all you will have a great start in understanding and practicing Acceptance and Commitment Therapy. Do you have a favourite book that I don’t mention here? Why not mention it in the comments below. Counselling and psychotherapy for individuals and couples. Supervision and training for individuals.